After much experimentation, I’ve found the absolute best way to cook zucchini noodles. I make zucchini noodles at least 2 times a week. I love them as a low carb substitute for pasta. In fact, we eat them so often, I finally invested in the KitchenAid Spiralizer when it went on sale. It makes a batch of zucchini noodles in minutes and it saves me money over purchasing pre-made zoodles at the store. 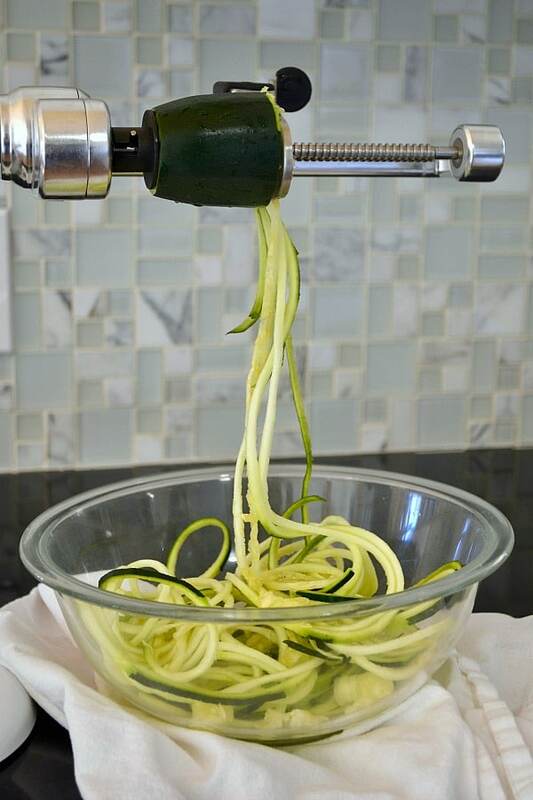 You don’t need this tool, any spiralizer will work to make fresh zucchini noodles. But I definitely think fresh is best when it comes to texture and flavor. Since I cook zucchini noodles so often, I’ve definitely refined my cooking technique, and I’m please to announce I have landed on the best way to cook zucchini noodles (otherwise known as zoodles). 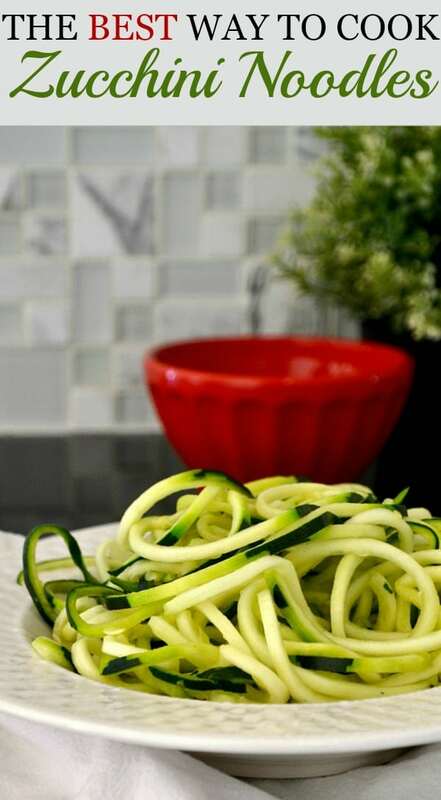 First, let’s talk about some mistakes to avoid when cooking your zucchini noodles. Some recipes have you add water to the pan while you are cooking them. WRONG! Zucchini will naturally release liquid as it cooks. If you add more liquid, they get soggy and taste nothing at all like pasta. Nothing. There are some recipes that will have you salt your zucchini before cooking it to draw out the water. WRONG! Salting zucchini noodles before you cook them will leave you with mushy zucchini. Yuck! 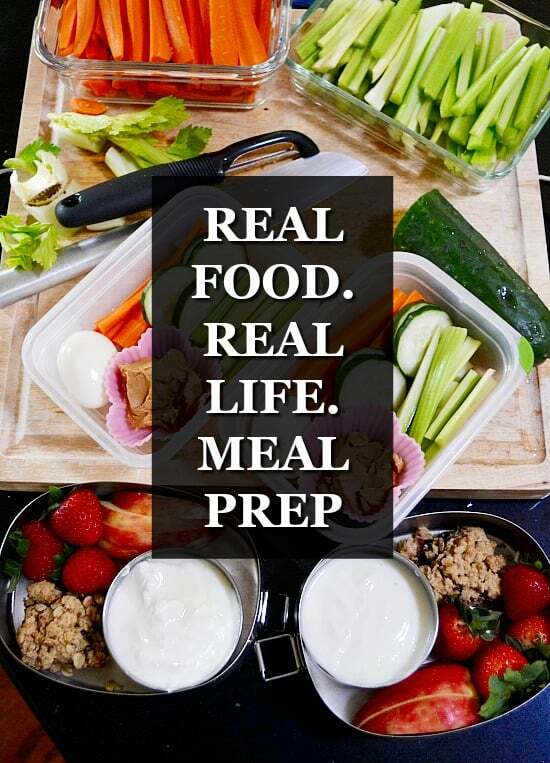 You also don’t want to add salt during cooking like you typically do when following a recipe. That’s right. I’m telling you NOT to salt your zucchini noodles before or during cooking. Again, zucchini is made up of 95% water, a ton of which is released when you start cooking it. Salt will draw the water out and the result is soggy noodles. Bleech. 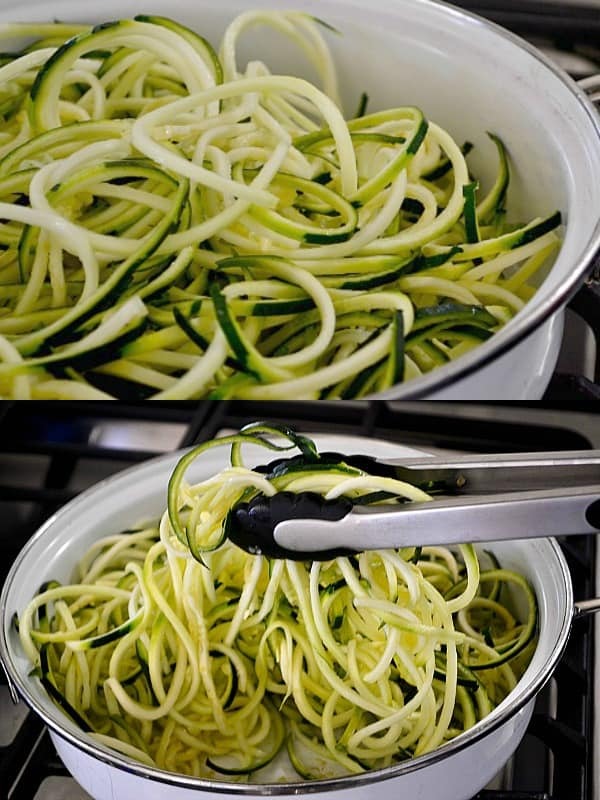 The best way to cook zucchini noodles is to saute them. It takes under 5 minutes and allows you to monitor the noodles so you don’t over cook them. 1. Add about a tablespoon of oil to the pan. Heat over medium heat. OPTIONAL: Sometimes I like to add some minced garlic to the oil to help flavor the noodles as they cook. 2. Once oil is hot, add the zucchini noodles. 3. Set your timer to 5 minutes. Use your tongs to continually toss the noodles. 4. As your timer counts down, and you get close to 2 minutes left, keep a close eye on the pan to watch for the formation of water. A little water is okay, but if you start to see a lot of water in the pan, it’s time to take the zoodles out. Your noodles will take 3-5 minutes to cook. 5. Your zucchini noodles are done when the noodles are warmed through but still firm. Unless you want your zucchini noodles to leak a ton of water, you need to embrace a firmer texture. You want your noodles warmed through and slightly soft but not mushy. 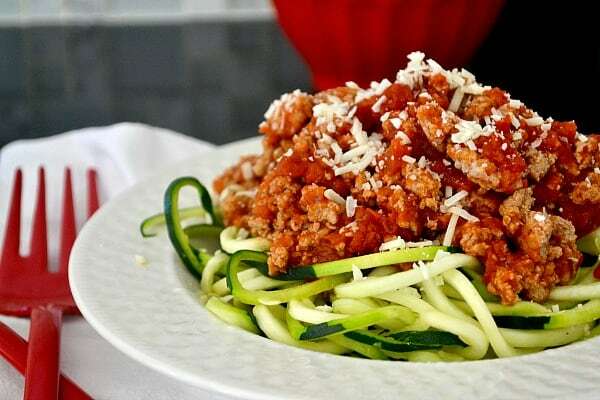 Now that you’ve got the perfect zucchini noodles, top with your favorite pasta sauce and enjoy! And when you’ve had your fill of zucchini noodles, try grilling zucchini! Thanks for the tips on cooking zucchini noodles. What type of oil do you normally use to saute? After cooking, can these be used in soup and stay firm like pasta?